When an incident or accident occurs at your workplace, what do you do to fix the problem? In many cases, the “5 Whys process” is a proven and accepted means to get to the root cause of the incident. But what do you do if this technique doesn’t dive deep enough – and only presents further symptoms rather than the real cause or, indeed, causes? 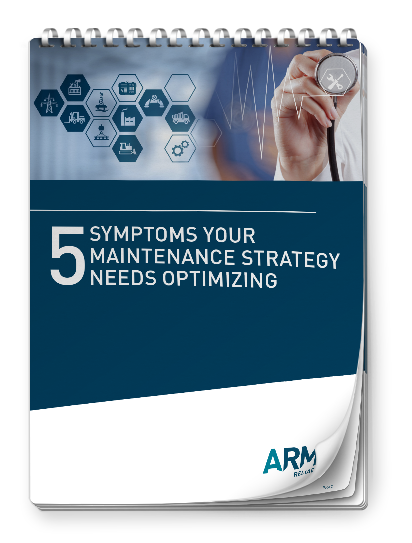 Ths eBook reveals the benefits and limitations of the 5 Whys process; and then presents a useful method for taking the analysis further. Everybody agrees, don’t they, that the whole point of the investigation of safety incidents, whether injuries have actually been suffered or the potential for them was high is to prevent their recurrence? Regrettably, the tendency to blame is more apparent in these cases than in mechanical failures or supply chain deviations, for example, presumably because of the deeper emotional responses from the affected parties. T he significance of the particular event can then be intensified because the variety and depth of the participants’ emotional responses are undeniably “real” and can, if not appropriately accommodated in the total incident management process, cloud the judgement of the investigator/s and even complicate the task for the team of analysts assembled for the RCA. Minimising the risk of friction, avoiding undue “heat” being generated by the harm (nearly) caused, can be achieved by the prompt application of an investigation process which both encourages and relies upon the frank sharing of information in order to achieve the agreed objective. A mature business will have a risk matrix which pre-determines the level at which the investigation is undertaken and therefore, which “tool” or methodology may be prescribed for the particular event. The previous deliberations about which method to use for what level/type of event will have been influenced by the organisation’s previous analysis history, incorporating the relative success or otherwise of previous investigations. These results will have been generated by multiple factors such as the quality of evidence, determined by the care taken in its collection and preservation, the rigour of the facilitation process, the relative “influence” of stakeholders and significantly, the co-operation of the incident actors, being the victim/s and witness/es. An event, being the first of its type in the organisation, with a very minor injury and no time lost may only require a “trouble-shooting” type approach. The expectations of regulatory authorities in hazardous industries can be another influence on the choice. But then all that experience, positive, negative or mixed can be neutralised by the emergence of a different principal with responsibility for the RCA process who has experience of another method or specific training and expertise and has the clout to sway the choice. It may well be simply based on a personal preference arising from familiarity rather than an objective assessment of alternatives. Regardless of the methodology selected, the purpose must be to prevent recurrence and not to blame. If the investigation focuses primarily on “who” did or did not do something or other, the tenor of the subsequent analysis may become negative and the opportunity to really learn from the experience will be subordinate to the search for a culprit. By the way, this “no blame” attitude does not exempt personnel who are repeatedly and wilfully negligent in the performance of their duties or associated activities in the workplace. The owners have a duty of care to provide a workplace for all and if misbehaviours increase the probability of increased risk of harm they are obliged to respond. Reprimand is a reasonable sanction. Or, in the most severe but rare cases, dismissal might be reasonably justified. The justification would be the thorough, objective analysis. Otherwise the organisation could find itself liable to unfair dismissal or similar charges. The need for objectivity cannot be over-stated and explains why best practice for significant events is to engage a third party facilitator who has no “skin in the game”. If the broad business context for deep analysis is Continuous Improvement, the enhanced safety of the workplace and all processes and equipment operations used by its employees must be the outcome. 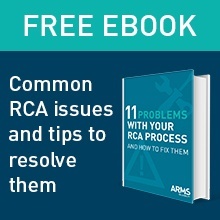 Keeping in mind that every event is unique in some respects – the most obvious being that it happened at a different time to every other one (you know of) – the purpose of the RCA is to discover what is different or distinctive about this event. What are the other unique causes which might be effectively controlled or negated in order to significantly reduce the likelihood of a repetition or similar occurrence? So, after the exhaustive process has been followed, with the facts associated with the incident having been recorded, the consequences measured and documented, the timeline and sequence of events mapped, any cans of worms expertly opened and explored, you have discovered a number of causes. Typically and ideally, you will have discovered causes of which you were ignorant at the beginning of the analysis. And these will only be discovered if the event is sliced thinly, if every phase is considered very carefully. These ought to be documented in some graphical form so that the team’s understanding of the event can be shared and agreed as complete. The cause and effect chart or tree is the most common display form employed and there needs to be provision for the display of the pertinent evidence for each cause. It is imperative that all of the causes are revealed before you can be confident that prevention is assured. Being persistent in the quest for causes is a very desirable trait. Don’t stop too soon. Then, the existence of clearly defined relationships between the causes and their effects will provide the clarity necessary to instil confidence that the consequent solutions will be effective. It is the solutions, targeting specific causes, which combine to assure prevention, or at least, serious mitigation of the consequences. But the job is incomplete. The solutions need to be implemented in a timely fashion to have an effect on the probability of recurrence. If, for example, one of the causes is the failure of some mechanism then identifying a solution for that may also entail deeper investigation to determine other failure modes which could have similar, potentially harmful effects. Note however that the investigation is not per se a solution even though it may provide data which leads one to alternative or complementary solutions. Establishing the priorities for that implementation, giving ownership and due dates for completion are the closure everybody needs. It will be a learning experience for all intimately concerned but can and should be shared more widely in a large organisation. Nobody disagrees with a safe workplace and that attitude will reflect well on the organisation and community regard may well be heightened. A safe workplace also reduces the likelihood of interruptions to business and therefore this increased reliability will strengthen relationships with customers and suppliers alike long-term.